Product #723 | SKU 2320-010-110 | 0.0 (no ratings yet) Thanks for your rating! Hi-pressure Xenon lamp, the ideal tactical flashlight. 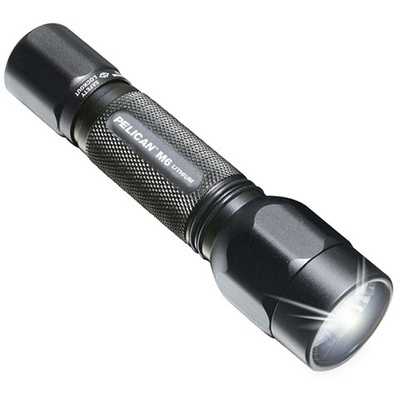 The M6 2320 Flashlight uses 2 CR123 lithium cells (included) to power a hi-pressure Xenon lamp for intense brightness. The tough CNC-machined aluminum chassis has a knurled body for a secure grip. Plus, the convenient push button tail cap switch has a safety lockout feature to prevent inadvertent battery depletion or accidental activation. It comes with a free Cordura® holster with back-up battery pouch. 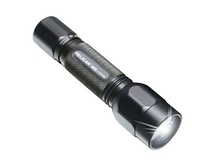 The M6 2320 is the ideal tactical flashlight, with its durable design and blinding beam. 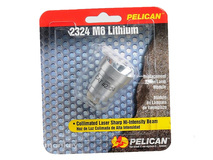 CAUTION: This Pelican Flashlight is a high output Professional Grade Lighting Product and can generate significant heat and light intensity. Do not leave activated flashlight unattended. Do not cover activated flashlight. Do not place activated flashlight against combustible material or material that could be damaged by heat. Keep activated flashlight well ventilated. If the lamp is activated while in a case or other container, the lamp could overheat and cause damage to surrounding materials. Battery Burn Time: 1 hrs.